For most of my life I had freakishly good vision. We’re talking read the license plate on a moving car hundreds of feet away kind of stuff. Then a few years ago when I was broadcasting baseball for the Pawtucket Red Sox, I began having trouble reading on our long bus rides. I assumed it had to be the dim light – after all, I had freakishly good vision – but I decided to have my eyes checked. After a lengthy examination, an eye doctor gave me a stern look and informed me that I had presbyopia. “Good lord, am I going blind?” I asked. After wearing them for several years and increasing the magnifying power a few times, I’ve decided to make the move to full-time prescription glasses. 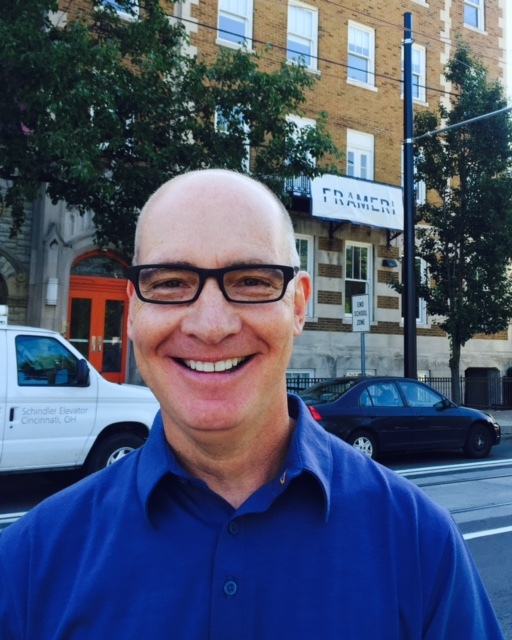 And thanks to Frameri Eyewear in Over-the-Rhine it’s proving to be fun. 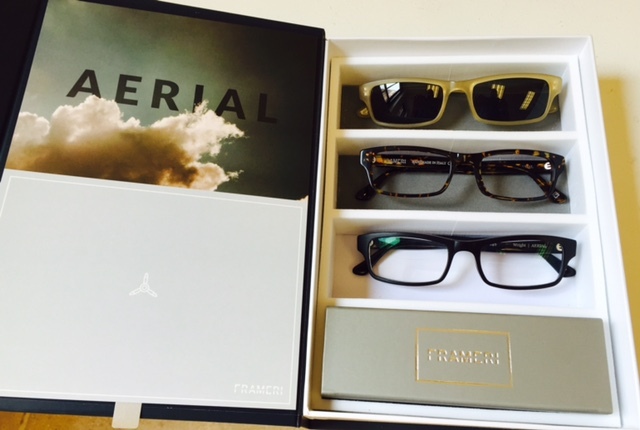 Frameri is reinventing the eyewear industry by making stylish Italian frames with interchangeable lenses. In other words, you can change glasses as frequently as you change your shoes. Additionally, when your prescription changes your frames are no longer obsolete – you simply change the lenses. 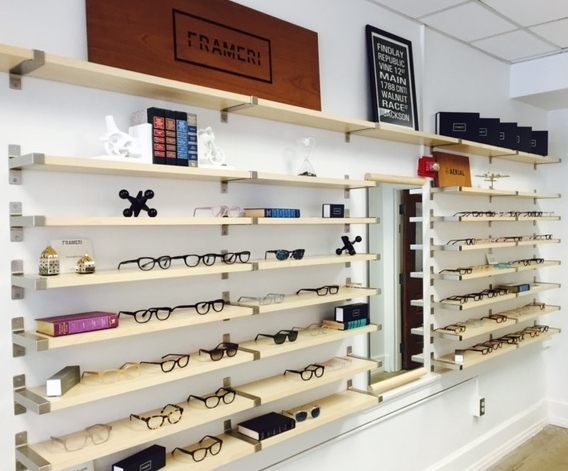 I met the team at Frameri at their showroom at 1308 Race Street on Washington Park and tried on a wide variety of frames before turning to social media for feedback. 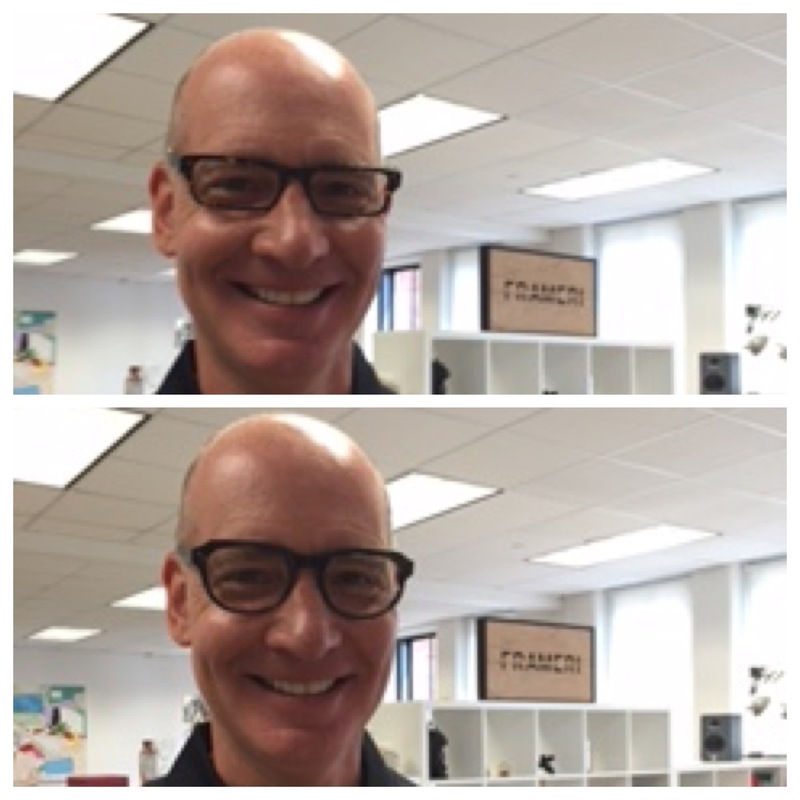 Initially I asked for input on my two favorite frames and voters selected the ones on the top. Then I asked for feedback on three different colors. The response has frankly been overwhelming. Between Twitter, Facebook, and Instagram I received hundreds of votes (including one from my mother who added that I would look handsome in any of them. Thanks mom). 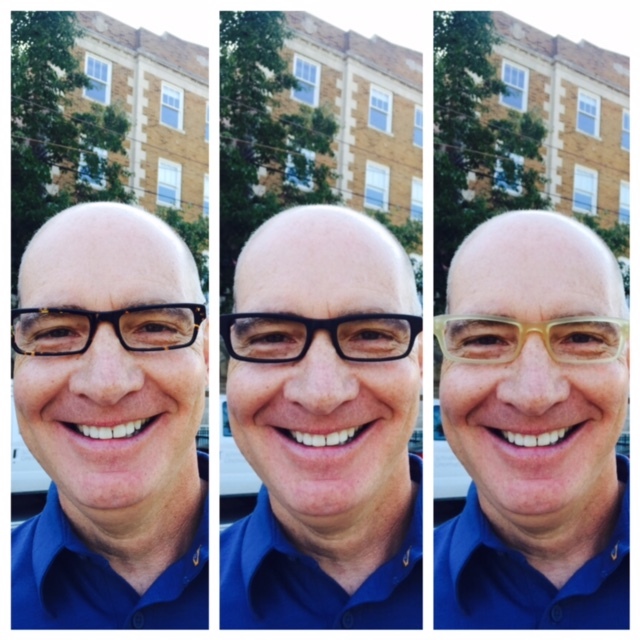 Over the last few weeks, dozens of people have asked me what frames I picked and when I am getting my new glasses. That’s one of the reasons why I decided to write about it. Voters narrowly picked the middle pair, but thanks to Frameri I didn’t really have to choose one color thanks to the interchangeable lenses. I got the two darker frames for eyeglasses and the lighter frame for a hip pair of sunglasses. If you live in the Cincinnati area and are looking for new glasses, I highly recommend visiting their showroom. If you don’t live here, you can use their virtual try-on tool and shop online at Frameri.com.